Today we have a fantastic giveaway coming to you from Along for the Ride! Along for the Ride creates beautiful jewelry and accessories that are delicate and whimsical. I really wish I could win this one cause I have been eyeing some of their stuff for quite some time now (hint hint to whomever cares lol!). Lets look at some of their loveliness shall we? 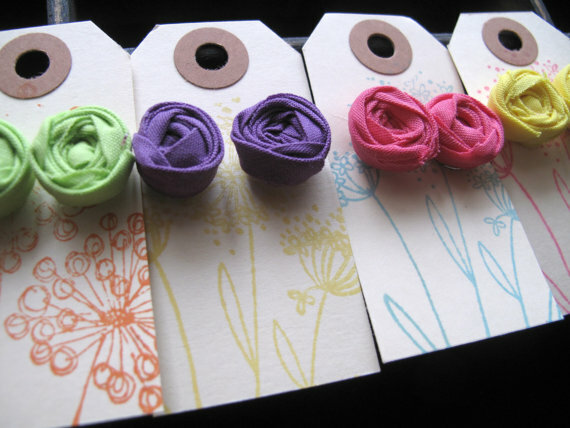 Love the color selection on these Bias Tape Earrings. Another lovely color on this necklace. I really like this next item. ALL proceeds go to Komen for the Cure for breast cancer! Love that and love breast cancer awareness products. Such products are a great way to honor or remember someone. Along for the Ride also has a fantastic blog! If you haven't already go check it out HERE. Lets get to that giveaway already! Along for the Ride is giving away a store credit for $20 to one lucky Cap Creations reader! Yay for you! Visit Along for the Ride then come back and let us know what you might spend your $20 on if you're the lucky winner. This must be done before extra entries will count. 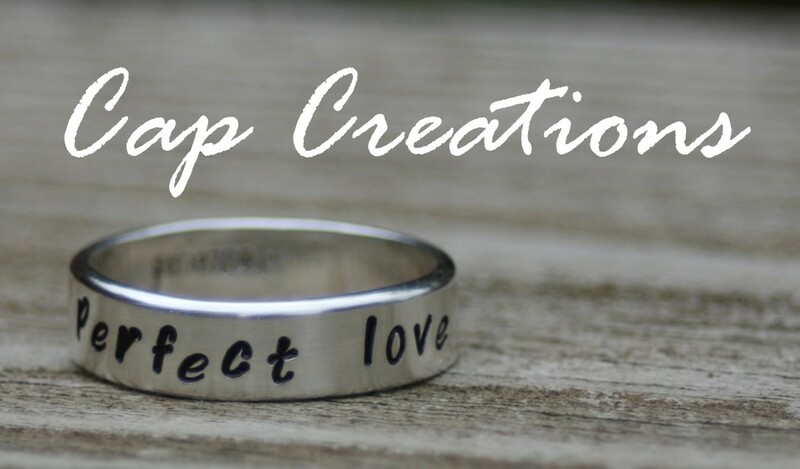 • Like Along for the Ride on facebook and comment saying you Love the giveaway at Cap Creations! • Follow the Along for the Ride blog. • Blog, tweet or facebook about this giveaway = 1 entry each. 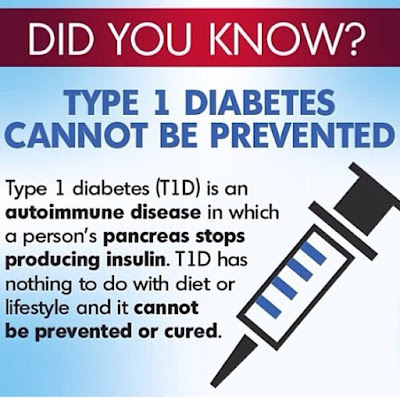 Each can be done daily! Leave a separate comment on this post for each entry. • Make sure we have a way to contact you, should you win. • Last day to enter 08/04/11. • GOOD LUCK!!! 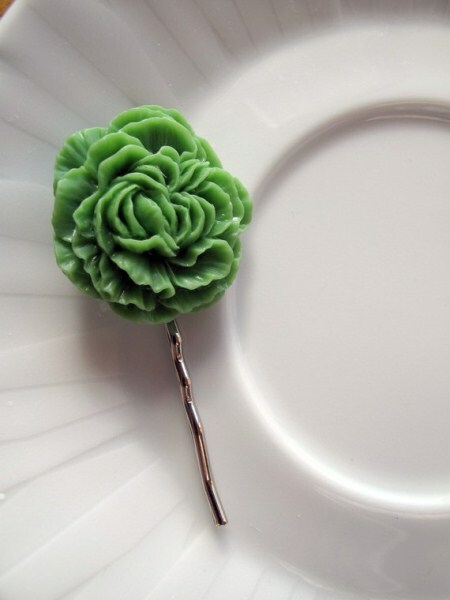 I'd use the $20 on a couple peony hair pins! 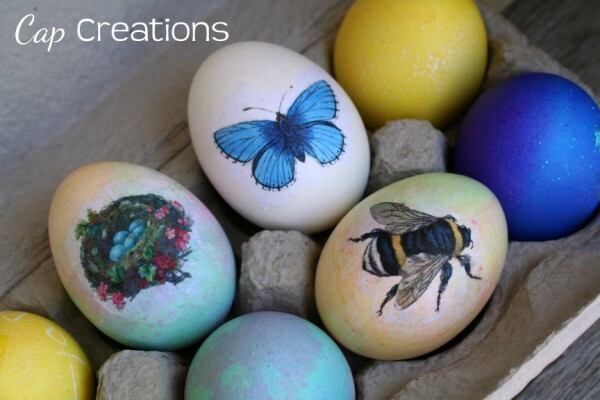 I follow Cap Creations blog! 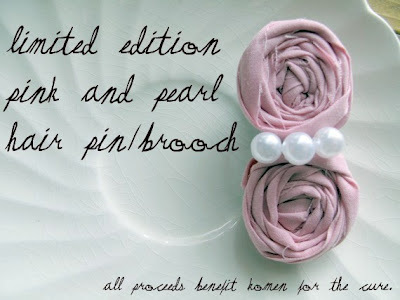 I would get three of the Pink and Pearl Double Rosette Hair Pin/Brooch- Benefiting Susan G. Komen for the Cure for my sisters and mom. We lost my grandma to breast cancer when my mom was only 6 so it's important to my mom. I follow AFTR blog! Love it! I've been a follower of Along for the Ride for awhile! I would most definitely use my credit on the mini rose earring trio in ballerina! So pretty. I follow Laura's blog via GFC! I would get the mimi rose necklace! It's so adorable! I am following the cap blog! I would love to get the bubble gum necklace and some rosette hair pins! I follow along for the ride on FB. I follow Along for the ride's blog. 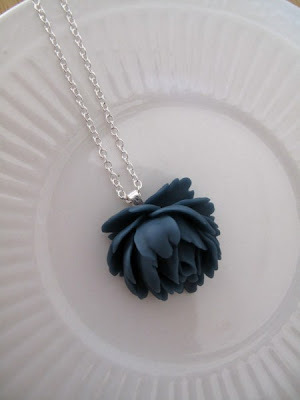 I'd get a couple of Mum Hair Pins and the Just Rosy Pendant Necklace in Mustard! Thanks for the chance! I like Along for the Ride on Facebook & left her a message! Yes i follow along for the ride blog, Its ever so nice!